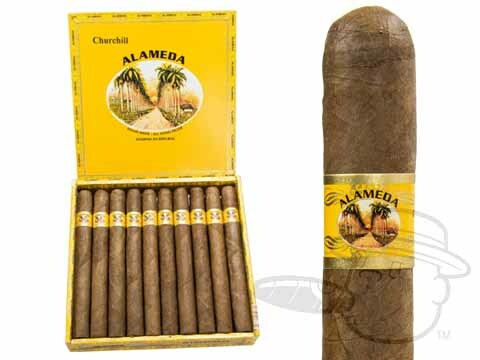 The Alameda Churchill cigar is handmade in the Dominican Republic with a Connecticut- Seed shade grown wrapper. These stogies feature a Brazilian binder and Dominican long leaf filler for a smooth and spicy smoke. Nothing special here, just a toasty mild everyday smoke. Worth the price, and decent quality. If you're looking for a cheap mild smoke these probably won't disappoint you. Alameda Churchill By Quesada Cigars is rated 4.2 out of 5 based on 4 customer ratings.